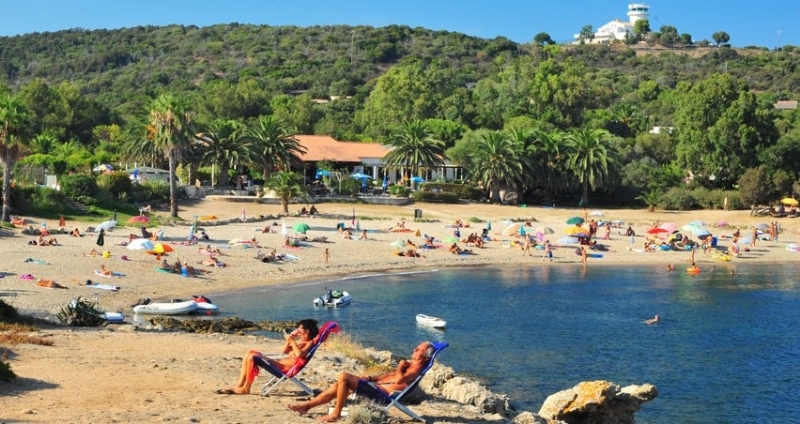 Also accessible from Ajaccio, Calvi and Bastia airports. 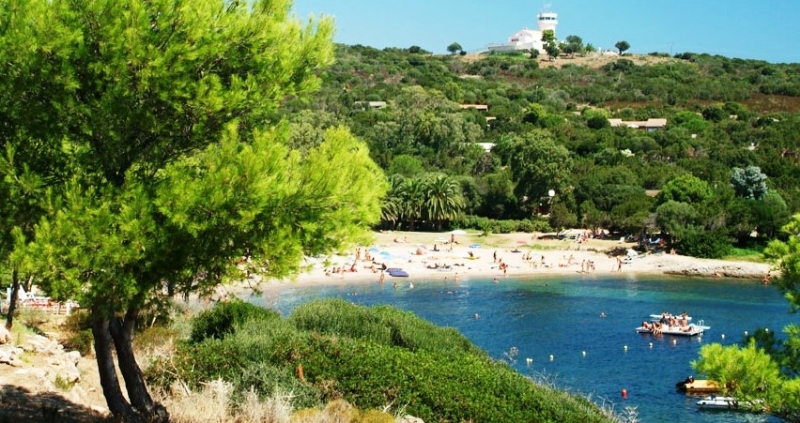 Naturist village covering 60 hectares of natural environment, next to the sea. 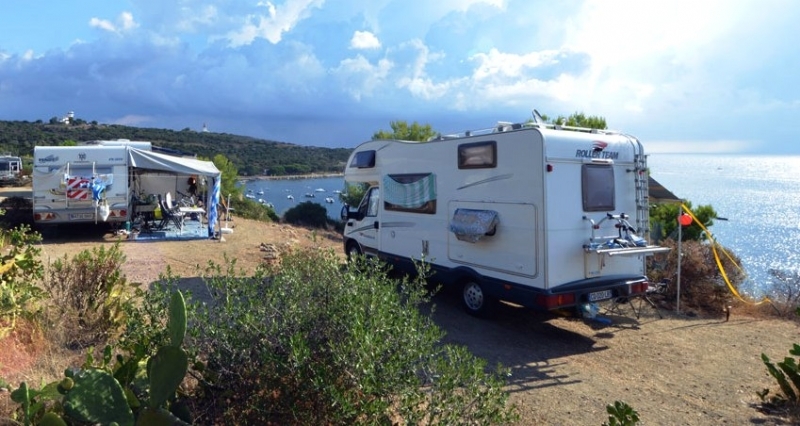 Campsite: a large range of pitches, equipped or wild, sunny or shady, by the sea or remote, for caravans, camper vans and tents. 250 bungalows and villas sleeping between 2 and 6 people. 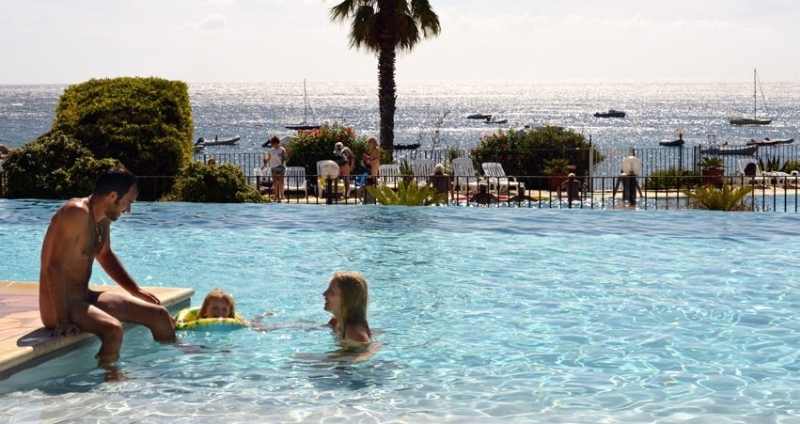 Self-catering or a choice of restaurant, bistro, snack bar and beach bar. (Note: some facilities are seasonal). 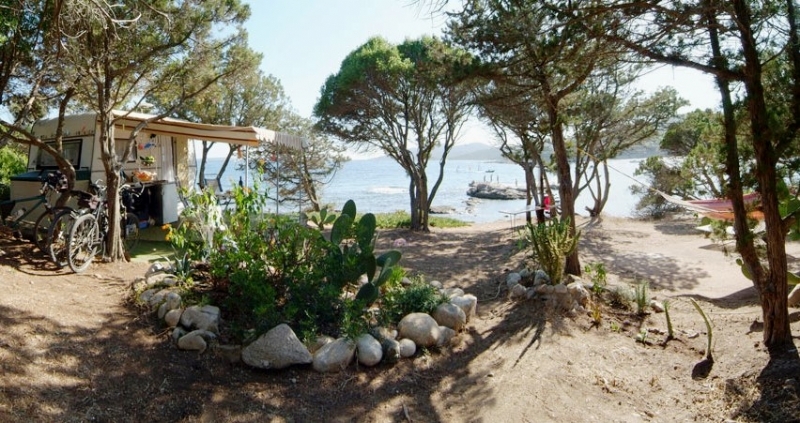 Situated at the south end of Porto-Vecchio gulf in southern Corsica in a perfectly preserved peninsula setting comprising rocky and sandy beaches and protected nature. Nakedness is compulsory on the beach, at the swimming-pools, in the sanitary facilities and strongly recommended throughout the village. However the reception, shops and restaurant are open to the general public so some clothing must be worn. The nearest port for arrival by sea is Porto-Vecchio. Route de Palombaggia, F-20137 Porto Vecchio, Corse, France.